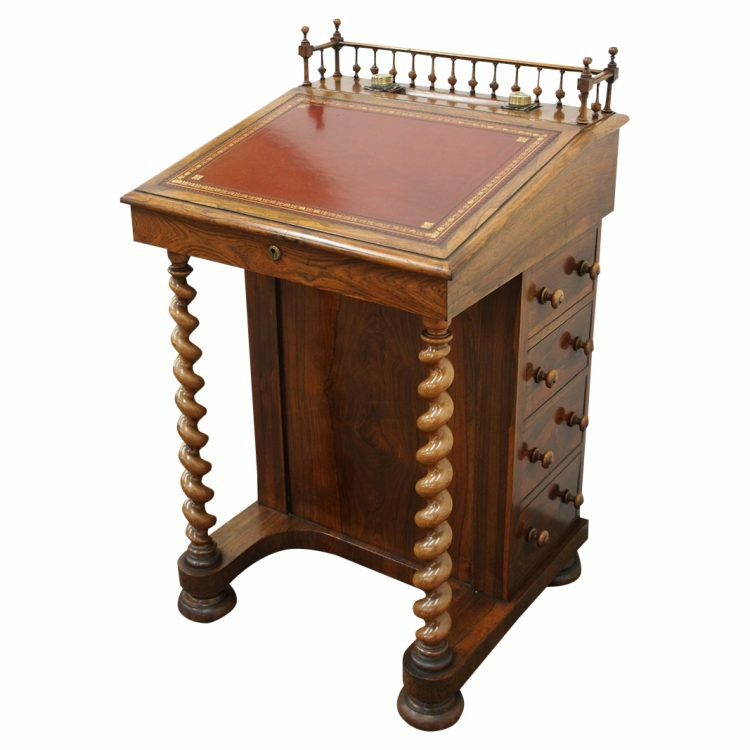 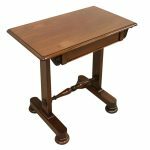 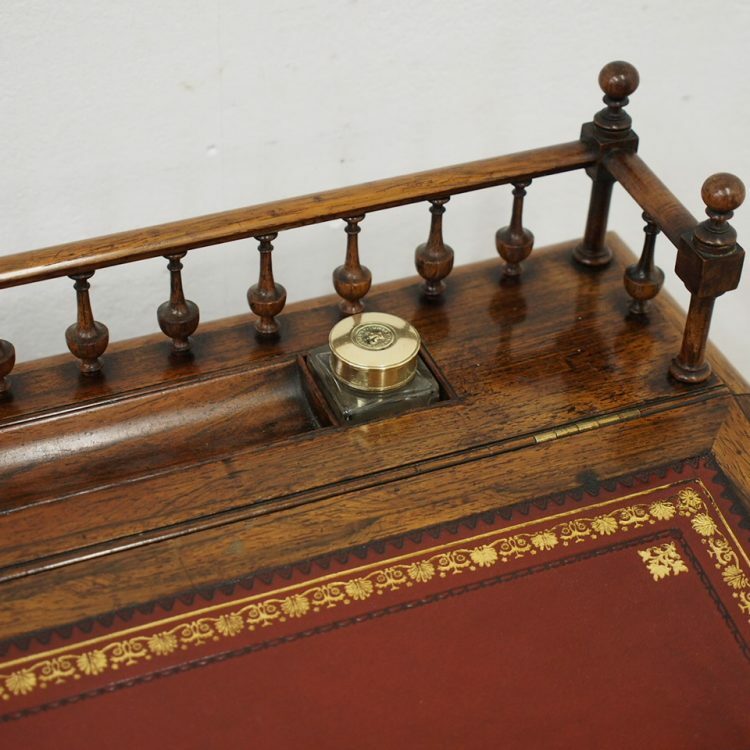 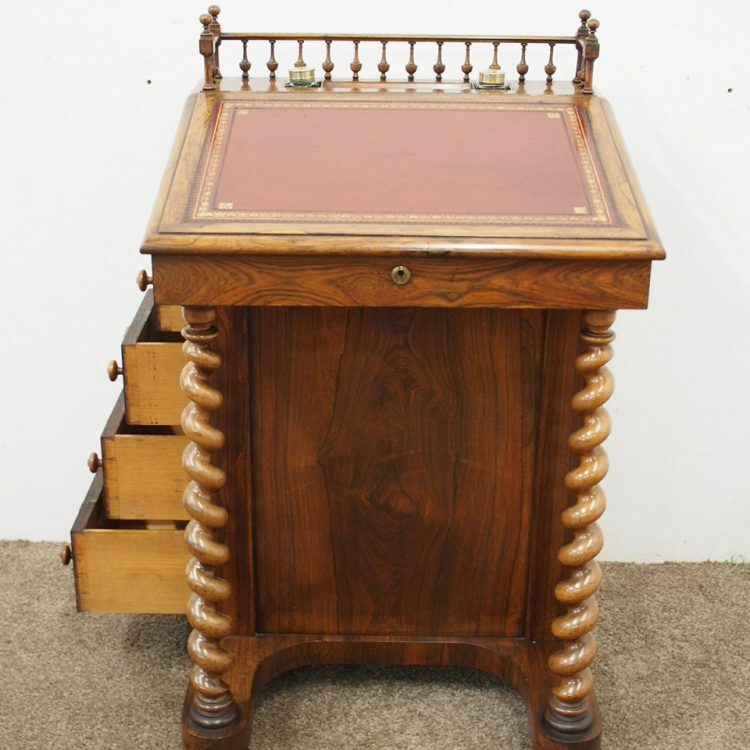 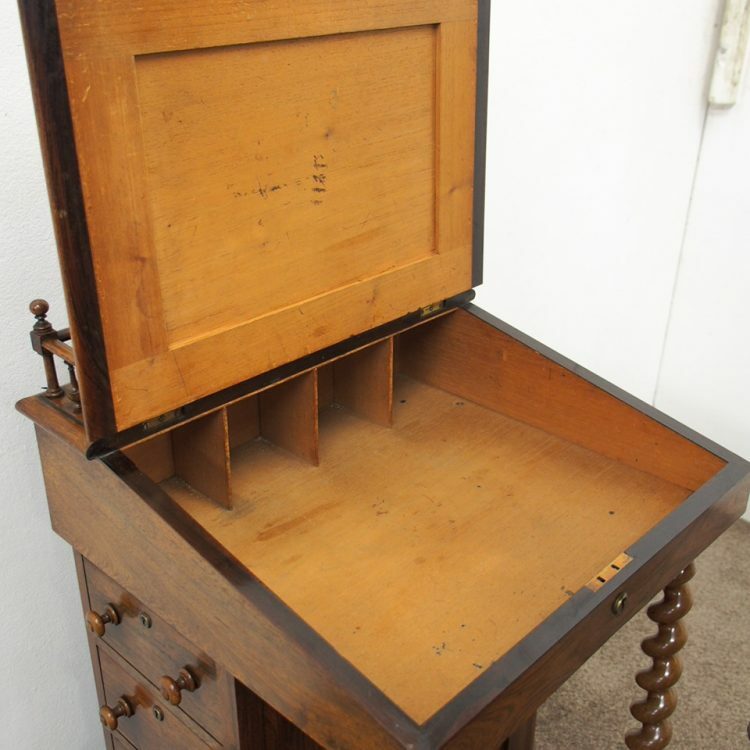 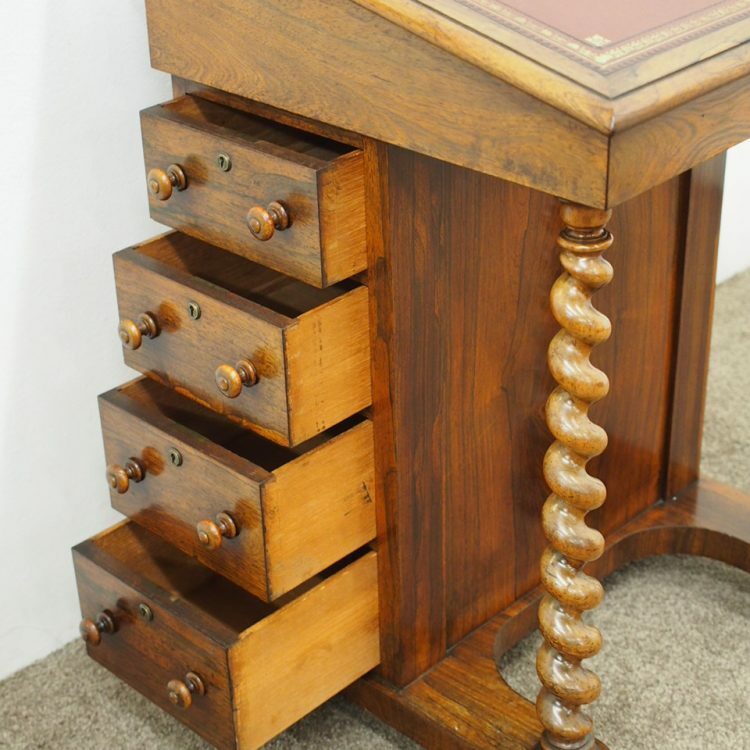 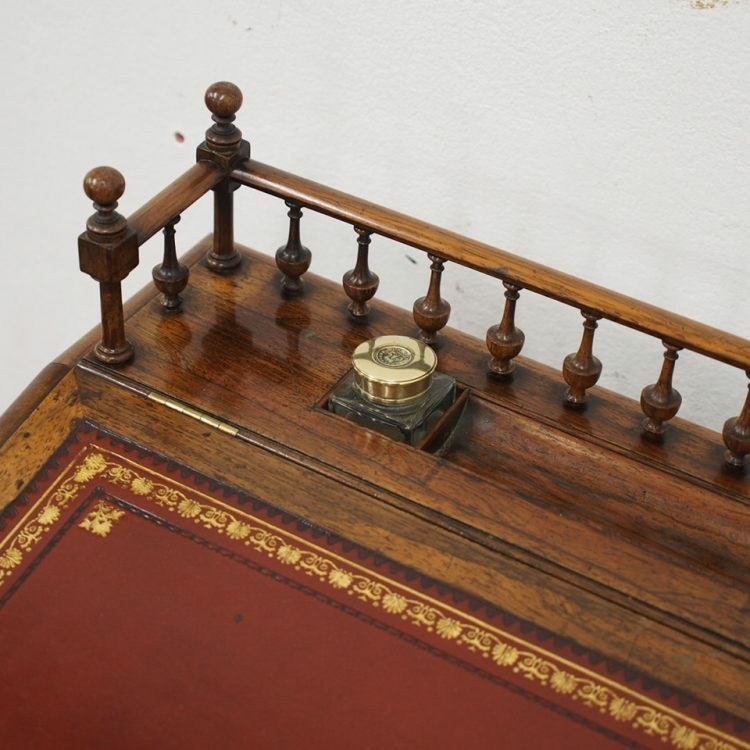 Circa 1835, William IV rosewood davenport desk. 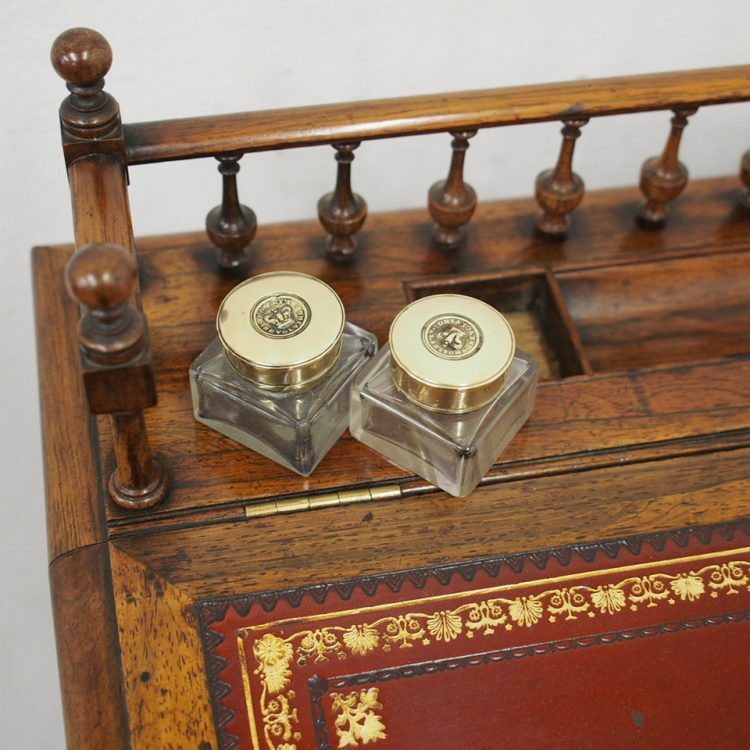 With wraparound three quarter gallery, shaped top rail and 4 circular finials, there are 2 recesses for ink bottles and pens to the back. 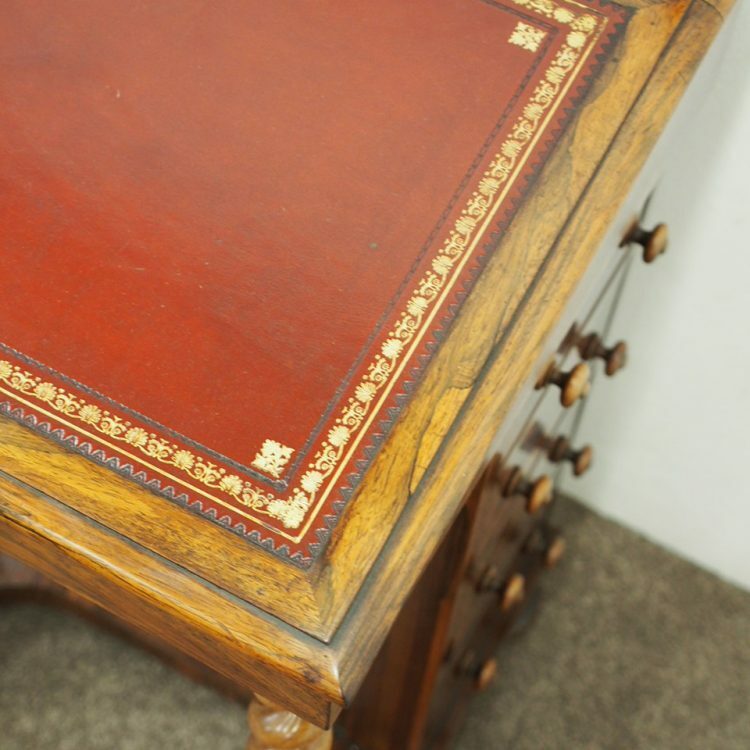 The sloping lid has a red leather top, re-leathered by Roy Kirby of London, and it opens to reveal an unpolished walnut interior with pigeon holes. 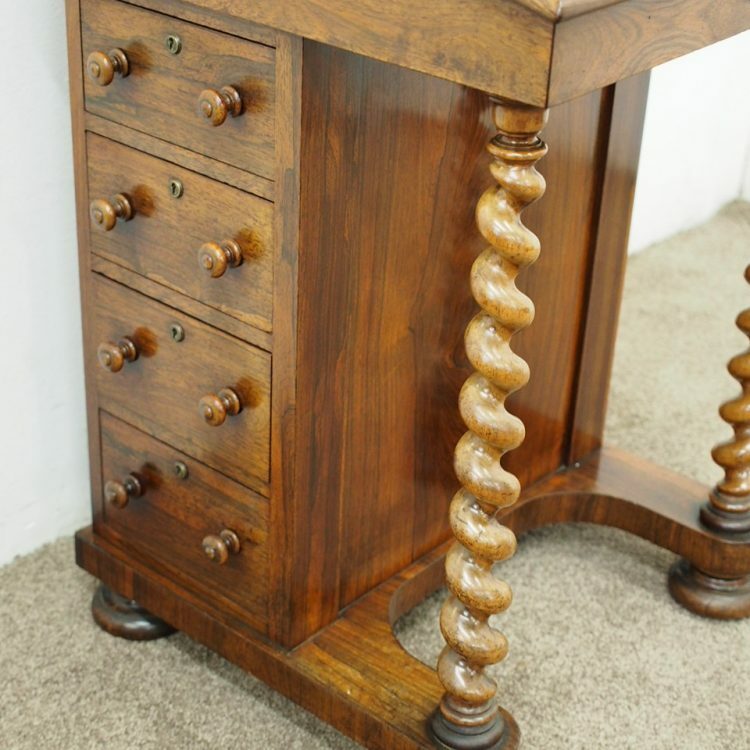 There is a bank of 4 dummy drawers on the right hand side and a bank of 4 drawers on the left hand side, all with turned knob handles. 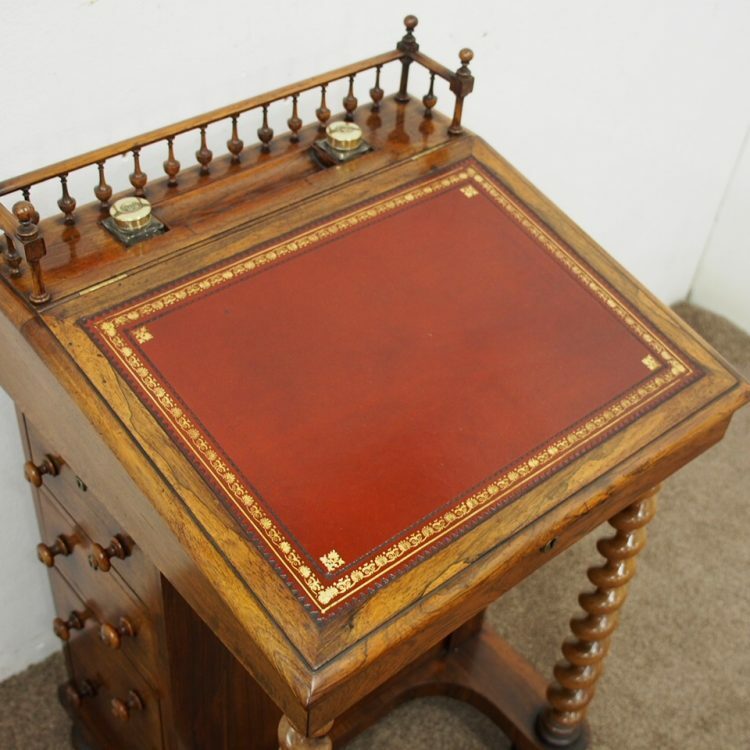 The back of the desk is polished thus freestanding. 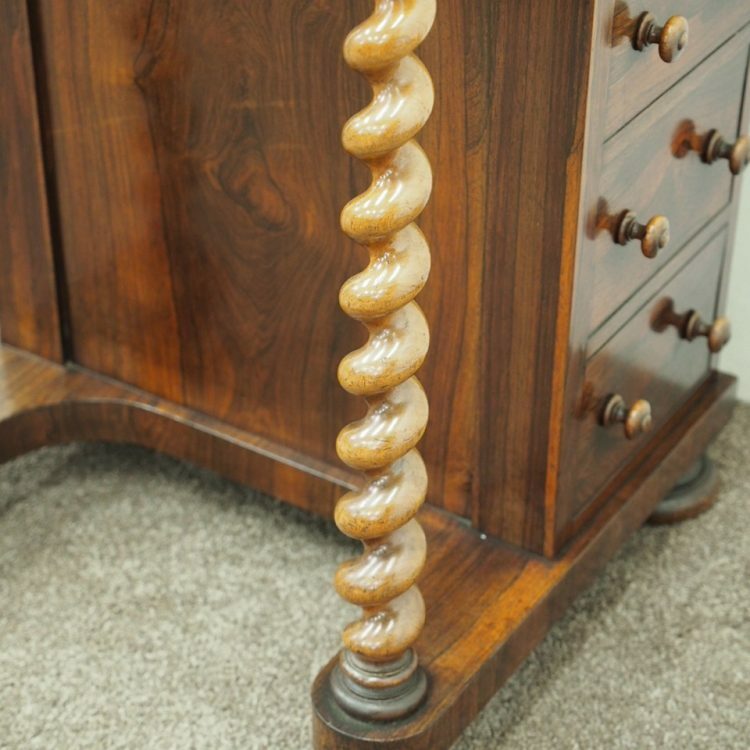 The desk is supported by two turned and tapering barley sugar columns, standing on an extended shaped section. 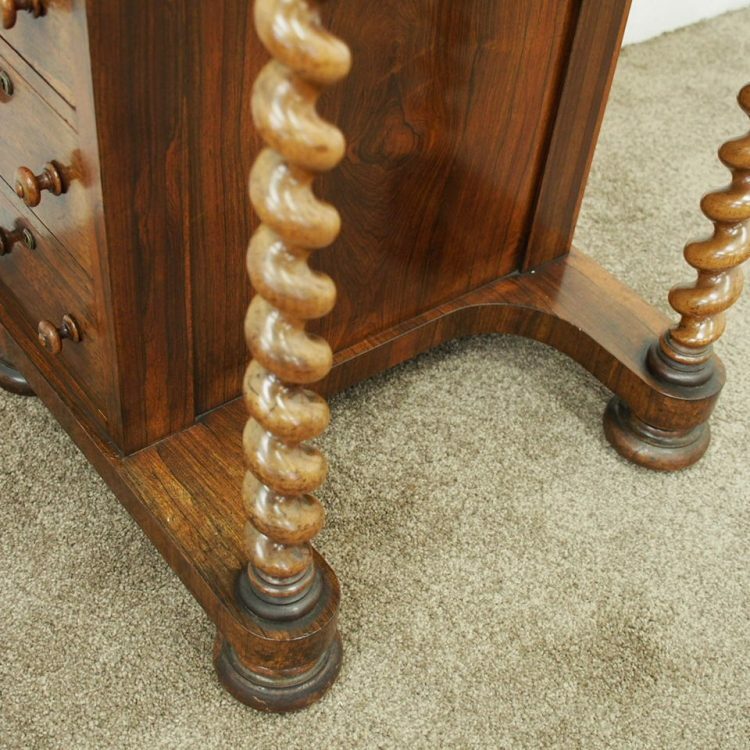 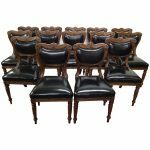 The davenport stands on 4 large squat turned feet with castors beneath them. 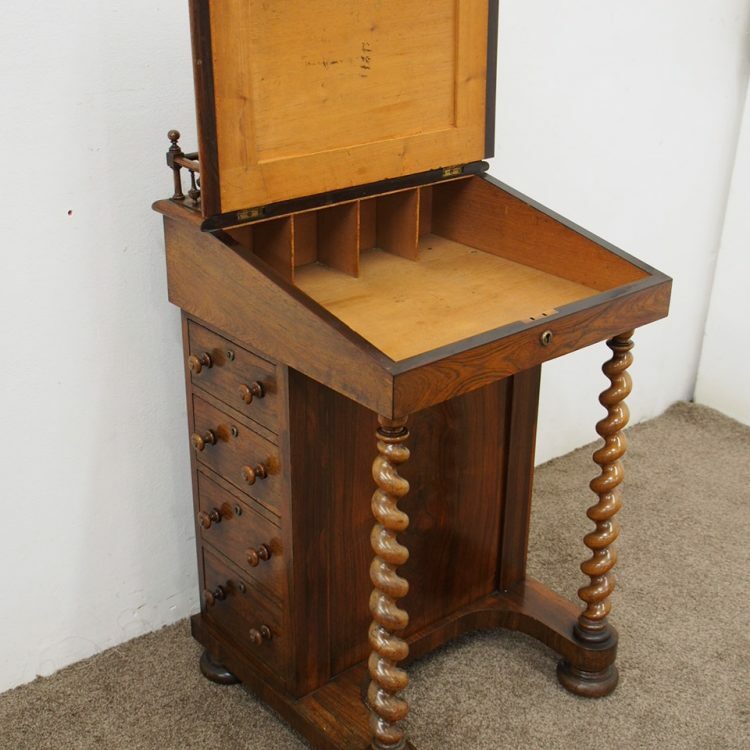 Size 90cm high x 54cm wide x 49cm deep.